Welcome to Burn Bridge pre-school. ​Serving the Burn Bridge, Pannal and Harrogate area. ​​Burn Bridge Pre-School is a very special place, with a reputation for its friendly, welcoming and inclusive atmosphere. Children settle well and are happy at Burn Bridge which helps them to become confident lifelong learners! 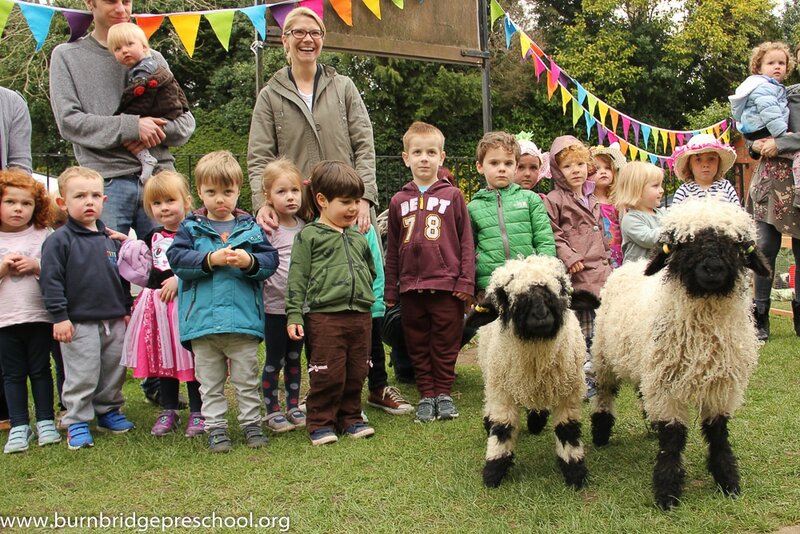 We offer the very best pre-school care and education. We have fun doing home-baking, art and craft, singing sessions, messy play, gardening, show and tell, reading stories, circle time, soft play and lots more! We have a light and bright playroom, a large kitchen, a spacious hall and outdoor space and children have lots of choice throughout the day. ​"My child has settled so well", "they are nurturing friendly staff, " "Burn Bridge is a very welcoming environment,"
"My child counts down the sleeps until 'preschool day!" "Burn Bridge is my child's Extended family"
"It's a hidden Gem up the lane"
​A huge thank you to Coach Mark and his team at Mini Kicks for joining us every half term to support physical play, personal and social skills and new challenges! The children love to sing and dance with Songbirds who join us for singing and movement sessions regularly and join us for our annual Christmas Nativity. Burn Bridge Preschool has recently teamed up with Zen Warriors promoting self well being and mindfulness to all the children in our care. We've also welcomed Boogie Babes , Didi Dance & Enjoy a ball into our setting! "we offer a caring, individual approach to learning and development for children aged 2 to 5 years"
We have regular newsletters informing our parents of our pre-school activities, trips, changes to policies, updates from the staff team and any other general information. To keep up to date please also like our 'public' and 'closed to parents' face book pages. As a charity, parent run pre-school we rely upon a close working partnership with our families. Together we enjoy our outings, end of term social events, themed stay n plays, summer sports day, Nativity play and lots more! We're now open for 3 full days (9-3pm... Wednesdays, Thursdays and Fridays). We are a registered not for profit organisation. Please register to support our fundraising.